This entry was posted in Recipes and tagged dessert, jello. Bookmark the permalink. 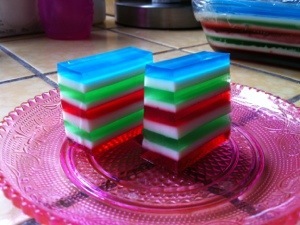 I have been informed that these should be called Jello Towers because Fingers sounds gross. Sidney’s class loved them so much that they auctioned off the leftovers since there wasn’t enough to go around a second time.